Technology is becoming an essential part of our modern life but what if it was an essential part of your body? Not like a pacemaker or a hearing aid, but something like extra arms? 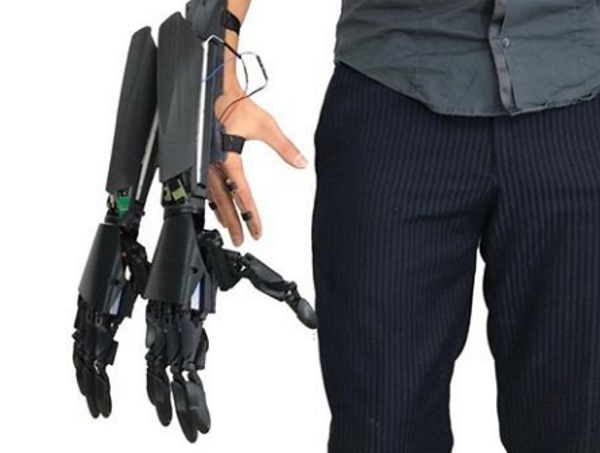 Augmented Human is selling the Double Hand, the attachment that gives you an extra hand. This thing attaches to your wrist and hand. With your natural (human?) 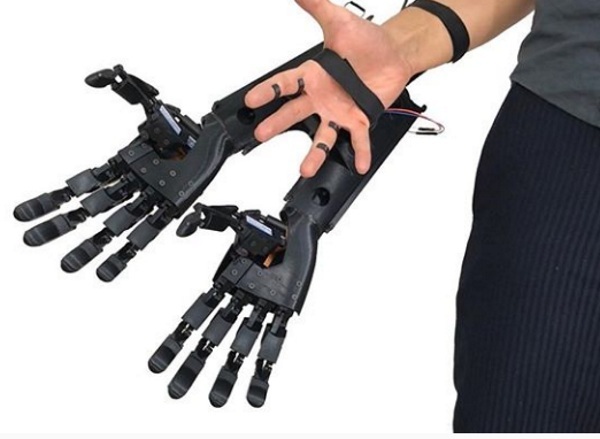 hand, you can control the movements of the two robotic hands. Each robot hand is controlled by sensors attached to your ring and pointer fingers so you can move the extra hands independently. They grasp and pinch depending on how quickly you move your fingers. They appear to only come in black which makes them look a bit menacing to be honest. When not powered on, they sit in a fist, which doesn’t help the menacing issue. I guess this is one solution for never feeling like you have enough hands to get things done. One set of these will set you back €1,799.